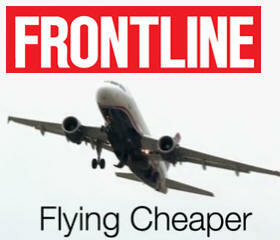 February 8, 2011 – Transport Workers Union (TWU) and the International Brotherhood of Teamsters issued a statement commending PBS “Frontline” for its recent investigative report on airline maintenance. Yet according to both unions, much remains to be addressed in order to ensure the safety of the traveling public. The report brought to light the increasing use by U.S. airlines of maintenance, repair and overhaul (MRO) facilities that are not part of the airlines maintenance departments. The TWU and Teamsters have been concerned for some time over the use of MRO facilities and the report exposes the gravity of the issue. In many cases, the report noted these facilities use non-licensed technicians or mechanics with little or no training on the aircraft. In some cases, the workers had very limited or no understanding of English, making it impossible to read maintenance repair manuals that specify the FAA required procedure to fix an aircraft. “More often than not, this work is done with minimal or substandard oversight to ensure a proper repair and FAA compliance,” said John M. Conley, TWU International Administrative Vice President and member of the FAA’s Future of Aviation Advisory Committee (FAAC). According to the report, one facility used by major U.S. airlines, when notified in advance of an upcoming FAA safety inspection, hid unauthorized and illegal parts from FAA inspectors, and subsequently returned them to inventory after the inspection for use. Incidents of “pencil-whipping,” a practice of signing off aircraft logbooks indicating repairs had been accomplished when they had not, were also reported. The report also revealed that internal airline documents stated that these falsified repairs came to light only after the aircraft was returned to service and in some cases, could have resulted in loss of the aircraft and loss of lives. On Jan. 20, 2011 it was announced that the FAA has proposed a $1.025 million civil penalty against San Antonio Aerospace, L.P., for failing to conduct FAA required pre-employment drug tests or waiting to properly verify those tests before hiring as many as 90 people to perform safety-sensitive functions between March 2007 and May 2008. Teamsters Airline Division Director David Bourne, commenting on the report said, “When an airline has a fully staffed facility on its property, with mechanics and technicians that are fully trained and licensed on the specific airplane that needs to be repaired and a complete and legal parts inventory, we have to question the reasoning behind sending airplanes elsewhere to get repaired at substandard facilities,” Bourne said. “Compromising safety to increase the bottom line is simply unacceptable”. In a promising sign, FAA Administrator Randy Babbitt, a former airline pilot, has stated that skirting regulation compromises safety and that the traveling public must be confident in the people who maintain aircrafts and comply with regulation. The TWU and Teamsters agree. “Airline management must be held to the highest standards when it comes to the maintenance of commercial airliners and the people who work on them. The traveling public and the crews that operate these airliners must never be compromised,” said Conley.